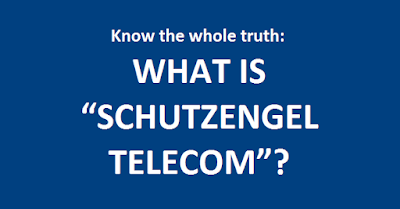 THE IGLESIA NI CRISTO: What is Schutzengel Telecom? 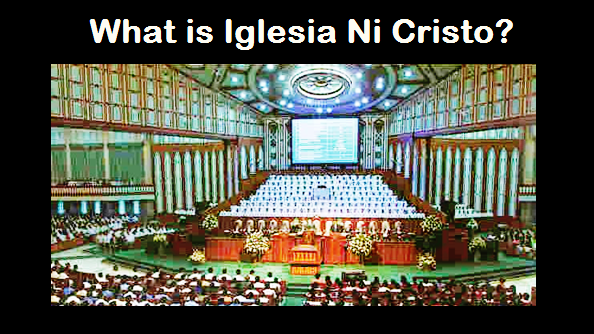 “Republic Act No. 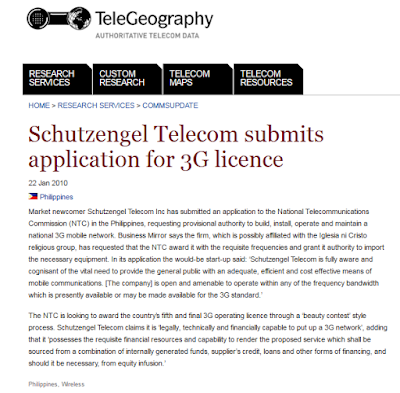 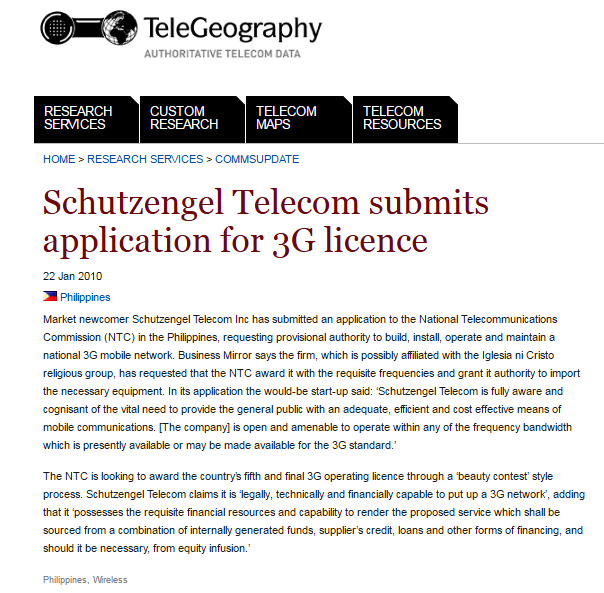 9857, AN ACT GRANTING THE SCHUTZENGEL TELECOM, INC. A FRANCHISE TO CONSTRUCT, INSTALL, ESTABLISH, OPERATE AND MAINTAIN TELECOMMUNICATIONS SYSTEMS THROUGHOUT THE PHILIPPINES.” This francise was given to Schutzengel Telecom last 2009. 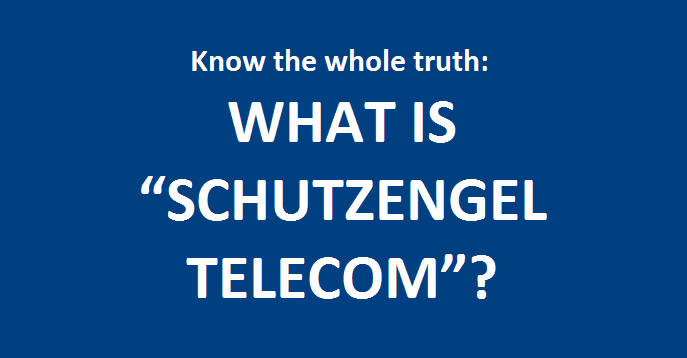 So, what is Schutzengel Telecom?